Comments: Jedi Master Yaddle is a member of the Jedi Council and is the same unknown species as Yoda. In contrast to the quiet and thoughtful Yaddle, Jedi Council member Evan Piell is known for his humorless and fierce demeanor. 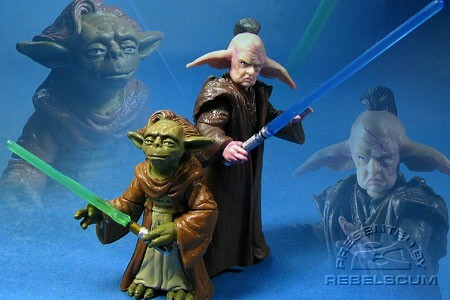 Yaddle is a repaint of the figure from 2003's SAGA Jedi High Council Screen Scene set. Even Piell is a repaint of the figure from 2003's SAGA Jedi High Council Screen Scene set. His name is misspelled on the packaging. This figure contains an extra "Droid Factory" piece to Build-A-Droid. 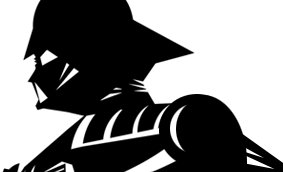 This figure includes 5D6-RA7's right leg.